This is a tentative list of items I’d like to complete next year. Looking at this all typed out it seems a little ambitious, so I’ll have to see how much I get done! I have all the materials and I cut out the pieces, but stopped when the event (GBACG Tall Ships Adventure) I was making the set for got cancelled. Then I got too busy with work and baby things. 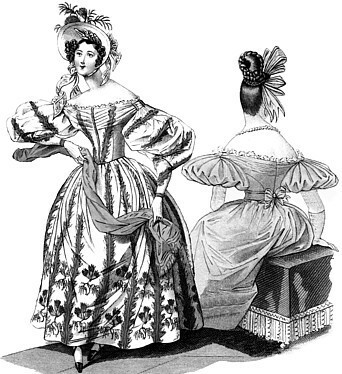 The group of ladies who did the Gibson Girl dresses last year have decided our theme for the April Gaskell Ball is 1830s. I am planning to use the Truly Victorian 455 pattern. I haven’t decided on a team, but it will be something cute and comfortable to wear for Saturday classes at Costume College. This is for the Saturday night ball at Costume College. 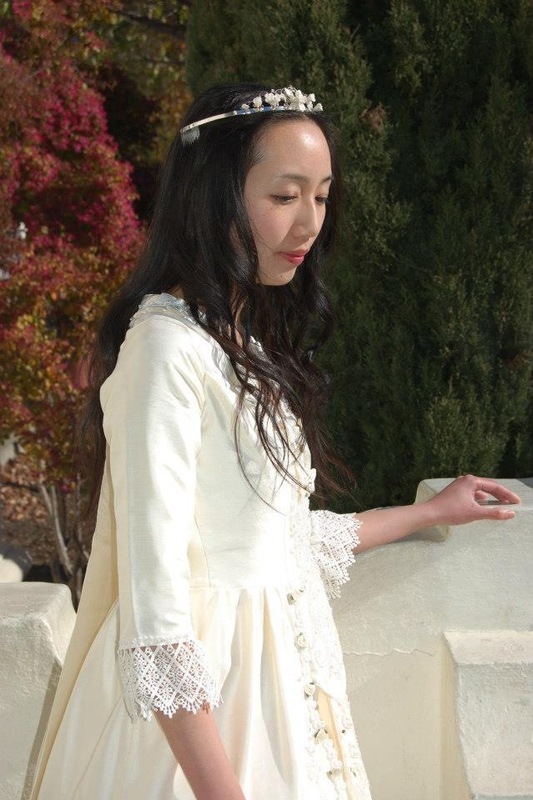 I have no idea whether I will make something from scratch or reworking this gown if I run out of time. There is an ice cream social at CoCo, and I would like to wear something that has a dessert color scheme. I already have a corset, and need some spiffy bloomers for the “Sunday Undies” breakfast at CoCo. Most likely I will recycle an existing outfit for the tea party at CoCo, but with some new accessories if I have time. 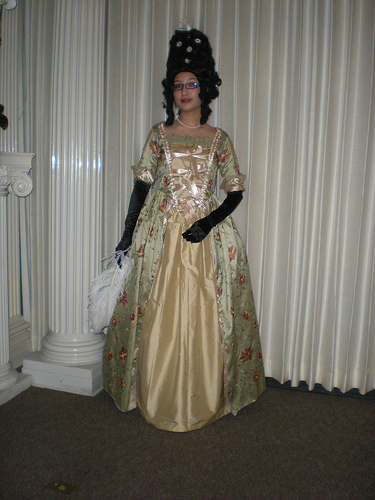 I may wear my silk 18th century-inspired cream outfit. Posted in Costume College 2014 and tagged costume, Costume College 2014, sewing. Bookmark the permalink.